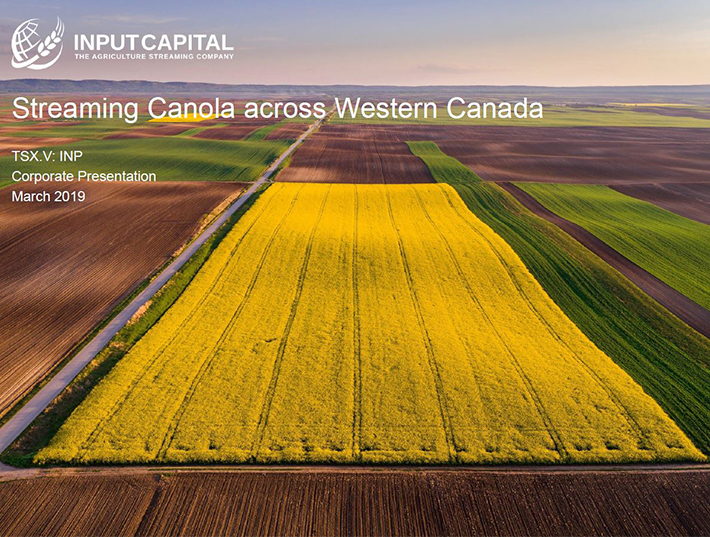 REGINA, Aug. 23, 2017 /CNW/ - Input Capital Corp. ("Input", or the "Company") (TSX Venture: INP) (US: INPCF) today announced that it has retained Stonegate Capital Partners Inc. ("Stonegate") of Dallas, Texas to provide advisory and institutional outreach services in the United States, with the objective of raising Input's profile among US institutional investors. Input management plans to continue its internally-managed award-winning investor relations program in Canada. Terms call for Input to compensate Stonegate on a month-to-month basis, at the rate of US $3,000 per month, subject to termination upon 30 days' notice by either party. Stonegate Capital Partners provides corporate communications, corporate access and capital markets advisory services. Stonegate is a privately owned firm based in Dallas, Texas. For more information, see www.stonegateinc.com.